Manchester Museum is a museum displaying works of archaeology, anthropology and natural history and is owned by the University of Manchester, in England. Sited on Oxford Road (A34) at the heart of the university's group of neo-Gothic buildings, it provides access to about 4.5 million items from every continent. It is the UK's largest university museum and serves both as a major visitor attraction and as a resource for academic research and teaching. It has around 430,000 visitors each year. The museum's first collections were assembled by the Manchester Society of Natural History formed in 1821 with the purchase of the collection of John Leigh Philips. In 1850 the collections of the Manchester Geological Society were added. By the 1860s both societies encountered financial difficulties and, on the advice of the evolutionary biologist Thomas Huxley, Owens College (now the University of Manchester) accepted responsibility for the collections in 1867. The museum in Peter Street was sold in 1875 after Owens College moved to new buildings in Oxford Street. Former main entrance of Manchester Museum. The college commissioned Alfred Waterhouse, architect of London's Natural History Museum, to design a museum to house the collections for the benefit of students and the public on a site in Oxford Road (then Oxford Street). 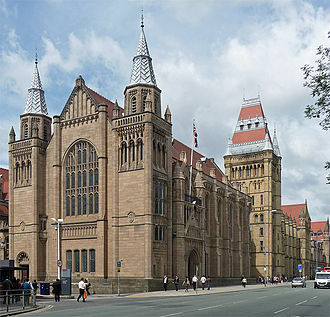 The Manchester Museum was opened to the public in 1888. At the time, the scientific departments of the college were immediately adjacent, and students entered the galleries from their teaching rooms in the Beyer Building. Two subsequent extensions mirror the development of its collections. The 1912 pavilion was largely funded by Jesse Haworth, a textile merchant, to house the archaeological and Egyptological collections acquired through excavations he had supported. 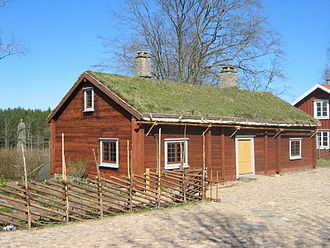 The 1927 extension was built to house the ethnographic collections. The Gothic Revival street frontage which continues to the Whitworth Hall has been ingeniously integrated by three generations of the Waterhouse family. When the adjacent University Dental Hospital of Manchester moved to a new site, its old building was used for teaching and subsequently occupied by the museum. The museum is one of the University of Manchester's 'cultural assets', along with the Whitworth Art Gallery, John Rylands Library, Jodrell Bank visitor centre and others. In 1997 the museum was awarded £12.5 million from the Heritage Lottery Fund and with funding from the European Regional Development Fund, the University of Manchester, the Wellcome Trust, the Wolfson Foundation and other sponsors, the museum was refurbished and reopened in 2003. At this time the Fossils Gallery and Living Cultures Galleries were developed and The Vivarium was established on the second floor of the 1885 building. The Manchester Gallery explores the changing relationship between the museum, Manchester and the rest of the world. It explores where collections came from and how they relate to colonialism and empire. Living Worlds opened in April 2011 as a new type of natural history gallery to encourage visitors to reflect on their attitudes to nature. The gallery was designed by Brussels-based design firm villa eugenie. Exhibits include a mounted demoiselle crane with a piece of rubble from the Hiroshima atomic bomb blast and hundreds of origami cranes. Themed exhibits explore attitudes to nature and environmental issues. The gallery has a smartphone app, 'Living Worlds'. This gallery has an allotment in the courtyard in front of the museum, where volunteers grow fruit and vegetables and show visitors how to grow and look after plants. Ancient Worlds opened in October 2012 and transformed the main galleries of the 1912 building. Discovering Archaeology explores how people make sense of the past using objects and includes exhibits on facial reconstruction and some of the characters who were involved in the development of archaeology and the museum, including William Flinders Petrie and William Boyd Dawkins. 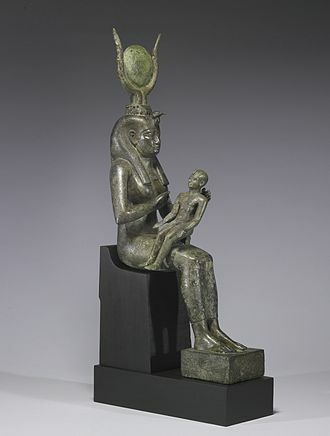 Egyptian Worlds, takes visitors on a journey through the landscape, customs and practices of the Ancient Egyptians. Exploring Objects, reveals the archaeology collections through 'visible storage' with a difference. The gallery incorporates a haptic interactive. 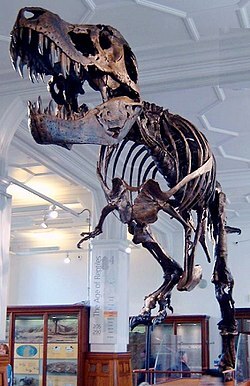 Stan, a reproduction cast of a fossilised Tyrannosaurus rex acquired by the museum in 2004. In June 2013 time-lapse footage showing a 10-inch Egyptian statue in the museum's collection, apparently spinning around unaided, attracted worldwide media attention. Various theories were put forward, with the university's Professor Brian Cox suggesting "differential friction" between the glass shelf and the object, possibly caused by vibrations made by visitors, caused the object to move. The museum's Egyptologist Campbell Price, said "it has been on those surfaces since we have had it and it has never moved before. And why would it go around in a perfect circle?". The Manchester Evening News reported that the incident "sent visitor numbers soaring at the Manchester Museum", and Tim Manley, head of marketing and communications, commented that "There's been a definite spike in visitors". Nature's Library opened in April 2013 displaying the museum's range of natural history, using a design inspired by a Gothic library to capitalise on the gallery's Gothic Revival architecture. Displays explore the variety of the natural world, where the collection came from, why people collect specimens, how they are used, and what they can tell scientists. In 2004 the museum acquired a reproduction cast of a fossil Tyrannosaurus rex which is mounted in a running posture. "Stan", as it is called, is based on the second most complete T. rex excavated in 1992 in South Dakota, by Stan Sacrison. Alchemy was a project initiating and facilitating artists' access to the museum and university. Funded by Arts Council England it offered four Alchemy Artist Fellowships, curated artist interventions in the permanent galleries and facilitated research and the loan of the museum's collections for contemporary art projects. Alchemy was the museum's first such sustained research programme. It aimed to reinvigorate displays, encourage diverse approaches and present alternative voices. In August 2007, a temporary exhibition Myths About Race was opened. Many Victorian institutions are now viewed as having contributed to the racist thinking that justified slavery. As part of the Revealing Histories: Remembering Slavery project, it explored difficult and sensitive issues. Lindow Man was on display for a year from April 2008 after being exhibited at the British Museum. The collection totals about 16,000 artefacts, nearly half of which are from Africa. Material from Oceania makes up a quarter and much of the remainder comes from Asia and the Americas. The first large donation came from Robert Dukinfield Darbishire (1826–1908), beginning in 1904/05. Darbishire gave about 700 items, including ceramics from Peru and Eskimo carvings. In 1922, Charles Heape donated his Oceanian and American collection amounting to about 1500 items. It included a collection of weapons and paddles from the Pacific islands, collected by missionaries and others, though some items from the Aborigines of Victoria were acquired while Heape was resident. The Lloyd collection of Japanese metalwork, carvings and ceramics were the bequest of R. W. Lloyd. 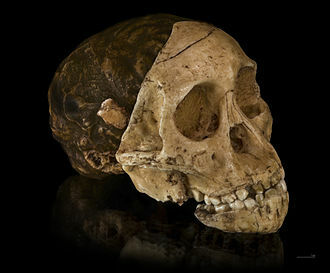 There are two collections obtained in the field by professional anthropologists. Frank Willett collected pottery, masks and ritual regalia in Nigeria in 1956 and Peter Worsley collected basketry and other items from the Wanindiljaugwa people of Groote Eylandt, Australia in 1952. 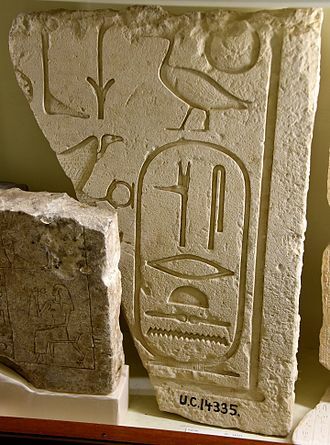 Relief of Pepi II from the temple of Menes and Isis in Qift, part of the museum's Egyptological collection. The major collecting areas in archaeology have been Western Europe, the Mediterranean, Egypt and Western Asia. Large accessions of material from Egypt and Western Asia came from the excavations of Sir Flinders Petrie and subsequently archaeologists from the university have been involved in expeditions to Western Asia and brought more finds. 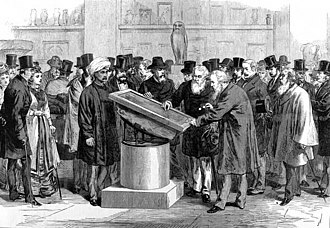 The Egyptological collections include finds from Kahun and Gurob, presented in 1890 by Jesse Haworth and Martyn Kennard. By 1912 the growth of this area had been so great that a new wing was added for the Egyptian material to which Jesse Haworth made a major donation of funds. The Egyptian Mummy Research Project, begun in 1973, has yielded much information on health and social conditions in ancient Egypt and radiology and endoscopy have been used extensively. A redesign of the galleries in 1984/85 resulted in improved displays. The archaeology collections were redisplayed in 2011 in the Ancient Worlds galleries. A bog body, Worsley Man, is also in the care of the museum. Lindow Man, another bog body had previously been displayed. The nucleus of the archery collection of about 2,000 exhibits was formed by Ingo Simon and donated in 1946. Simon was an accomplished archer who spent many years researching its history and the development of bows. From 1914 to 1933 he held the world record for a flight-shot at 462 yards; he died in 1964 and his widow Erna (lady world champion, 1937, died 1973) endowed a trust to conserve and develop the collection which includes artefacts from Great Britain, Brazil, Europe, India, Pakistan, Japan, Central Asia, Africa, and the Pacific islands. The Manchester Herbarium contains upwards of 950,000 specimens collected during the 18th, 19th and 20th centuries and most countries are represented. Accessions are still made and many specialist enquiries are received. Only a small part of the collection is exhibited. Important contributions came from Charles Bailey and James Cosmo Melvill and some specimens from Carolus Linnæus, the expeditions of Charles Darwin and Admiral Sir John Franklin are included. The small collection made by Leopold H. Grindon which includes many cultivated plants is also important. The geological collections are of more than local importance and consist of more than 9,000 mineralogical specimens and several hundred thousand fossils. Approximately one twentieth of the collection is displayed and the remainder in storage but available for study by interested persons. Much of the collecting was done in the second half of the 19th century and among the collections are the David Homfray collection from the Cambrian and Ordovician strata of Wales and the collections of George H. Hickling and D. M. S. Watson from the Silurian of the Dudley district, West Midlands and from the Old Red Sandstone. Other specimens include the fossilised plants of the Coal Measures, the S. S. Buckman collection of ammonites, an ichthyosaur from Whitby and 40,000 mammalian bones from an excavation at Creswell Crags, Derbyshire and the David Forbes World Collection of minerals. Since the 1920s there has been a policy of complementary collecting by the museum and the university Department of Geology by which the museum specialises in hard rock petrology. The museum's collection of zeolite group minerals originated from a donation by Caroline Birley in 1894. The museum's collection amounts to nearly three million specimens. It has 10,500 type specimens (of 2,300 species) and additions are frequently made to it. Coleoptera represent about half the total number of specimens. The British collections constitute about 1,250,000 specimens and only a small proportion of the known species are unrepresented. Harry Britten, assistant keeper 1918–1938, had a leading role in the development of the collection. Coleoptera, Diptera and Hymenoptera specimens amount to some 1,100,000 in total. Of the Manchester moth (Euclemensia woodiella) captured on Kersal Moor in 1829, one of only three specimens known to be in existence is here. The remainder of the collection is of foreign origin and W. D. Hincks and John R. Dibb contributed great quantities of specimens, particularly of Coleoptera. Coleoptera number some 900,000 out of an approximate total 1,750,000. The Chrysomedinae-Cassidinae collection of Franz Spaeth is the finest collection in the world of tortoise-beetles. The first coins were donated by the businessman Reuben Spencer in 1895 and the rest of his collection of European coins and commemorative medals in various metals was donated in instalments. Alfred Güterbock deposited, then bequeathed a collection of 380 Greek gold, silver and copper coins together with some Roman coins. In the next forty years four benefactions were made: in 1912 from William Smith Churchill (European coins of the 17th, 18th and 19th centuries); in 1925 William Smith Ogden's collection of antiquities, including Greek and Roman coins; in 1939 Egbert Steinthal, honorary keeper of the coin room, presented his collection of English copper coins; and in 1958 Harold Raby's bequest of Greek and Roman coins. Harold Raby succeeded Steinthal as honorary keeper and they were responsible for work on the arrangement and identification of the coins. The museum's collection of live amphibians, housed in the Vivarium, includes some of the most critically endangered neotropical species in the world. The Vivarium's displays offer an opportunity to observe the behaviour of a wide variety of species from Madagascar, South and Central America, and Australasia, in naturalistic exhibits. The maintenance of the museum's live animals operates under the highest Zoo Licence standards to ensure their health and care is optimised. A conservation research collection of rare neotropical frogs is maintained off display. These form part of non-invasive research projects and captive breeding programmes to support the in-situ and ex-situ conservation of the species concerned. These include the Lemur Leaf Frog, the Yellow-eyed Leaf Frog, and the Splendid Leaf Frog. The live collection at the museum is used as an important educational resource, and related engagement work extends to environmental education programmes developed in Costa Rica and Panama. The collection includes several thousand mammal specimens. Many mounted specimens are from the original Manchester Natural History Society collection. Mounted mammals include a lowland gorilla, an aye aye, and a red panda collected by Brian Houghton Hodgson. Most mammal groups are represented. Mr Potter's cow is a member of the British White breed from the extinct Gisburne herd from the 1830s. The museum holds a number of examples of taxidermy by Rowland Ward for Maurice Egerton (Lord Egerton of Tatton Park). The collection includes bones and skulls of a wide range of mammals, covering most major groups. Many of the collections were transferred from the Anatomy Department in the 1980s. The museum holds the bone collection put together by Derek Yalden. The collection includes approximately 15,000 bird study skins from more than 2,000 species mostly from 1850 to 1950. A collections of birds was transferred from the Natural History Museum in 1895, including a warbler finch collected by Charles Darwin on the Galapagos in 1835. The bird skin collection of Henry Eeles Dresser acquired in 1895 includes Palaearctic bird species, bee-eaters and rollers that formed the basis of Dresser's books. The bird skin collection of approximately 7,500 specimens includes specimens that John Gerrard Keulemans and Joseph Wolf used to prepare illustrations for 'A History of the Birds of Europe'. Dresser was a member of the British Ornithologists' Union and the Zoological Society of London. His collection includes specimens from Nikolai Prjevalsky, Robert Swinhoe, Henry Tristram, Alfred Wallace and Henry Seebohm. A collection of birds from the Hawaiian Islands was received from the Royal Society in the 1890s including species that are now extinct. The museum holds the collections of Thomas Coward, Richard Spiers Standen and Robert Coombes who specialised in Eurasian goose species; this collection was acquired in the 1990s. The collection of bones includes many bird skulls. The collection formed by Derek Yalden includes skeletons of thousands of birds that were sexed. The egg collection includes approximately 10,000 sets of eggs. Notable specimens include a male and female huia, bones of the dodo, an elephant bird egg, the only known egg of the slender-billed curlew, two study skins, a mount and several eggs of the passenger pigeon, bones of the great auk, a male and female ivory-billed woodpecker, three specimens of the paradise parrot and a warbler finch collected by Charles Darwin. The museum has many specimens of coral that came from Sydney Hickson, a specialist on corals and one-time Professor of Zoology at the University of Manchester. These include a number of type specimens of names published by Hickson and others, including Stanley Gardiner. The museum holds the bryozoa collection of Arthur Waters, a naturalist who lived near Manchester. Waters described the bryozoa of the Challenger expedition. The collection includes approximately 10,000 specimens including hundreds of type specimens. The museum also holds the brozoa collection of Eliza Jelly, another eminent 19th-century bryozoologist. The museum has the fourth largest mollusc collection in Britain with 166,000 lots. The collection grew around that of the Manchester Society for the Promotion of Natural History, which acquired one of William Swainson's shell collections in 1825 and which also included the collection of Captain Thomas Brown. Catalogue of type specimens was published in 2008. Type material is found in the collections of Alexander Abercrombie (India), Robert Dukinfield Darbishire, Professor Alfred Cort Haddon (Torres Straits), Reverend James Hadfield (Lifu, Loyalty Islands), Lewis John Shackleford (especially Marginella), George Cooper Spence (especially African land snails and Urocoptis and many specimens from Matthew William Kemble Connolly and Hugh Berthon Preston), Frederick W. Townsend (Persian Gulf), syntype material from the Scottish National Antarctic Expedition (1902–1904) and that received from the Smithsonian Institution in 1973 in an exchange. Material from the collections of Alexander Abercrombie, Alfred Cort Haddon, Rev. James Hadfield, Lewis John Shackleford, Frederick W. Townsend and the Scottish National Antarctic Expedition was described by James Cosmo Melvill II who had close connections with the museum; many species were described with Robert Standen of the museum. The collection includes around 5,000 spirit specimens from the 19th and early 20th century, although more recent acquisitions include the alligator collection formed by Professor Mark Ferguson of the Faculty of Life Sciences and Renovo plc. The collection includes the foraminifera collection of Frederick Pearcey, who served on the Challenger Expedition and worked at one time in the museum. Other collections of forams come from Joseph Sidebotham and E. Halkyard. William Boyd Dawkins, geologist and archaeologist. ^ "Manchester Museum appoints first female Director". manchester.ac.uk. 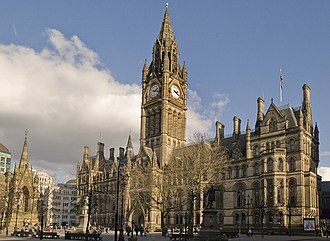 ^ "REVEALED | Manchester's Most Popular Tourist Attractions". Confidentials. Retrieved 2017-10-21. ^ a b "The History of the Manchester Museum". Archived from the original on 27 June 2009. Retrieved 2009-07-24. ^ Hartwell, Clare; Hyde, Matthew; Pevsner, Nikolaus (2004). The Buildings of England: Lancashire: Manchester and the South-East. New Haven: Yale University Press. pp. 428–429. ISBN 0-300-10583-5. ^ Sasha Goldstein (23 June 2013). "Ancient Egyptian statue at Manchester Museum moves on its own, stumped curator says". New York: Daily News. Retrieved 25 June 2013. ^ Dan Kedmey (25 June 2013). "WATCH: Spinning Statue at Manchester Museum Mystifies Staff". New York: Time. Retrieved 25 June 2013. 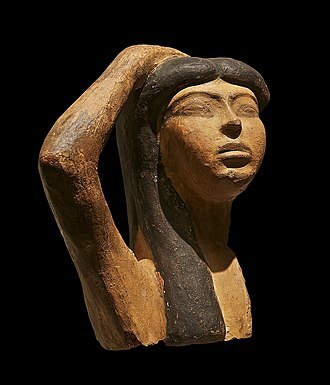 ^ "Manchester Museum's moving Egyptian statue puzzler". London: BBC News. 24 June 2013. Retrieved 25 June 2013. ^ a b "Mystery as museum statue starts turning in display case". London: The Daily Telegraph. 23 June 2013. Retrieved 25 June 2013. ^ a b Richard Wheatstone (25 June 2013). "'Moving statue' sets the turnstiles spinning as visitors flock to Manchester Museum". Manchester: Manchester Evening News. Retrieved 25 June 2013. ^ "BBC - Manchester - Features - Stan the T. rex - facts". bbc.co.uk. 2004-11-03. Retrieved 7 September 2016. ^ Manchester Prepares for the Appearance of Lindow Man Culture24, February 2007, accessed 24 November 2009. ^ Manchester Museum. "The Herbarium". Retrieved 5 October 2009. ^ "Other Major Collectors". Rocks and Minerals. Manchester Museum. Archived from the original on 25 February 2012. Retrieved 26 January 2012. ^ McGhie, HA 2005. Specimens of extinct and endangered birds in the collections of the Manchester Museum, the University of Manchester, UK. Bulletin of the British Ornithologists' Club 125: 247-252. ^ a b c d e f McGhie, Henry A. (17 December 2008). "Catalogue of type specimens of molluscs in the collection of The Manchester Museum, The University of Manchester, UK". ZooKeys. 4 (0): 1–46. doi:10.3897/zookeys.4.32. ^ "Michael Eagar" (PDF). Coprolite (41): 2. June 2003. Archived from the original (PDF) on 13 March 2012. Retrieved 2 April 2011. Wikimedia Commons has media related to Manchester Museum. Manchester Museum archives at the University of Manchester Library. South Dakota is a state located in the Midwestern region of the United States. It is named after the Lakota and Dakota Sioux Native American tribes, South Dakota is the 17th most expansive, but the 5th least populous and the 5th least densely populated of the 50 United States. Once the southern portion of the Dakota Territory, South Dakota became a state on November 2,1889, Pierre is the state capital and Sioux Falls, with a population of about 171,000, is South Dakotas largest city. South Dakota is bordered by the states of North Dakota, Iowa, Wyoming, the state is bisected by the Missouri River, dividing South Dakota into two geographically and socially distinct halves, known to residents as East River and West River. Eastern South Dakota is home to most of the states population, West of the Missouri, ranching is the predominant agricultural activity, and the economy is more dependent on tourism and defense spending. Most of the Native American reservations are located in West River, the Black Hills, a group of low pine-covered mountains sacred to the Sioux, are located in the southwest part of the state. Mount Rushmore, a major tourist destination, is located there, South Dakota experiences a temperate continental climate, with four distinct seasons and precipitation ranging from moderate in the east to semi-arid in the west. The ecology of the state features species typical of a North American grassland biome, humans have inhabited the area for several millennia, with the Sioux becoming dominant by the early 19th century. In the late 19th century, European-American settlement intensified after a rush in the Black Hills. Encroaching miners and settlers triggered a number of Indian wars, ending with the Wounded Knee Massacre in 1890, historically dominated by an agricultural economy and a rural lifestyle, South Dakota has recently sought to diversify its economy in areas to attract and retain residents. South Dakotas history and rural character still strongly influence the culture of the state, South Dakota is situated in the north-central United States, and is considered a part of the Midwest by the U. S.
Census Bureau, it is part of the Great Plains region. The culture and geography of western South Dakota have more in common with the West than the Midwest, South Dakota has a total area of 77,116 square miles, making the state the 17th largest in the Union. Black Elk Peak, formerly named Harney Peak, with an elevation of 7,242 ft, is the states highest point, while the shoreline of Big Stone Lake is the lowest, with an elevation of 966 ft. South Dakota is bordered to the north by North Dakota, to the south by Nebraska, to the east by Iowa and Minnesota, the geographical center of the U. S. is 17 miles west of Castle Rock in Butte County. The North American continental pole of inaccessibility is located between Allen and Kyle,1,024 mi from the nearest coastline, the Missouri River is the largest and longest river in the state. Other major South Dakota rivers include the Cheyenne, Big Sioux, Eastern South Dakota has many natural lakes, mostly created by periods of glaciation. Additionally, dams on the Missouri River create four large reservoirs, Lake Oahe, Lake Sharpe, Lake Francis Case, South Dakota can generally be divided into three regions, eastern South Dakota, western South Dakota, and the Black Hills. The John Rylands Library is a late-Victorian neo-Gothic building on Deansgate in Manchester, England. The library, which opened to the public in 1900, was founded by Enriqueta Augustina Rylands in memory of her husband, Special collections built up by both libraries were progressively concentrated in the Deansgate building. The Rylands Library Papyrus P52 has a claim to be the earliest extant New Testament text, the library holds personal papers and letters of notable figures, among them Elizabeth Gaskell and John Dalton. The architectural style is primarily neo-Gothic with elements of Arts and Crafts Movement in the ornate, the library, granted Grade I listed status in 1994, is maintained by the University of Manchester and open for library readers and visitors. Enriqueta Rylands purchased a site on Deansgate for her library in 1889. 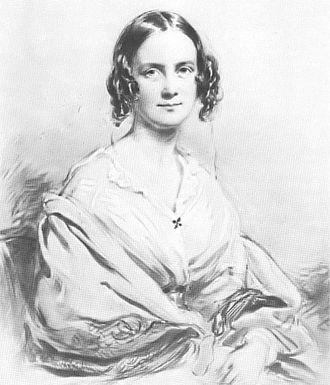 Rylands commissioned the Manchester academic Alice Cooke to index the vast library of the 2nd Earl Spencer which she had purchased, Champneys presented plans to Mrs Rylands within a week of gaining the commission. Thereafter frequent disagreements arose and Mrs Rylands selected decorative elements, window glass, Champneys was given the honour of speaking about the library at a general meeting of the Royal Institute of British Architects and was awarded a Royal Gold Medal in 1912. The library was granted listed building status on 25 January 1952, the core of the librarys collection was formed around 40,000 books, including many rarities, assembled by George Spencer, 2nd Earl Spencer, which Mrs Rylands purchased from Lord Spencer in 1892. She had begun acquiring books in 1889 and continued to do so throughout her lifetime, after its inauguration on 6 October 1899 the library opened to readers and visitors on 1 January 1900. The John Rylands Library and the library of the University of Manchester merged in July 1972 and was named the John Rylands University Library of Manchester, Special collections built up by both libraries were progressively concentrated in the Deansgate building. The building has been extended four times, the first time to designs by Champneys in 1920 after the project was delayed by World War I, the Lady Wolfson Building opened in 1962 on the west side and a third extension, south of the first was built in 1969. In January 2003, an appeal to renovate the building was launched, funds were generated from grants from the University of Manchester and Heritage Lottery Fund and donations from members of the public and companies in Manchester. The project, Unlocking the Rylands, demolished the third extension, refurbished parts of the old building, Champneys designed a pitched roof but Mrs Rylands was advised that an internal stone vault would reduce the fire risk and it was not built. 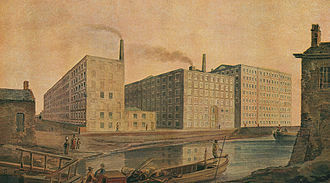 The £17 million project was completed by summer 2007 and the library reopened on 20 September 2007, by the nineteenth century Manchester was a prosperous industrial town and the demands of cotton manufacturing stimulated the growth of engineering and chemical industries. The town became abominably filthy and was covered, especially during the winter. There is at all times a copious descent of soots and other impurities and this, and the overcrowded site, created many design problems for the architect. The site chosen by Mrs Rylands was in a central and fashionable part of the city, the position was criticised for its lack of surrounding space and the fact that the valuable manuscript collections were to be housed in that dirty, uncomfortable city. Ichthyosaurs belong to the order known as Ichthyosauria or Ichthyopterygia. In the Late Cretaceous, ichthyosaurs became extinct for unknown reasons, science became aware of the existence of ichthyosaurs during the early nineteenth century when the first complete skeletons were found in England. In 1834, the order Ichthyosauria was named, that century, many excellently preserved ichthyosaur fossils were discovered in Germany, including soft tissue remains. Since the late century, there has been a revived interest in the group leading to an increased number of named ichthyosaurs from all continents. Ichthyosaur species varied from one to sixteen metres in length. Ichthyosaurs resembled both modern fish and dolphins and their limbs had been fully transformed into flippers, which sometimes contained a very large number of digits and phalanges. At least some species possessed a dorsal fin and their heads were pointed, the jaws often equipped with conical teeth to catch smaller prey. Some species had larger bladed teeth to attack large animals, the eyes were very large, probably for deep diving. The neck was short and species had a stiff trunk. These had a vertical tail fin, used for a powerful propulsive stroke. The vertebral column, made of simplified disc-like vertebrae, continued into the lobe of the tail fin. Ichthyosaurs were air-breathing, bore live young, and were probably warm-blooded, the first known illustrations of ichthyosaur bones and limb elements were published by the Welshman Edward Lhuyd in his Lithophylacii Brittannici Ichnographia of 1699. Lhuyd thought that they represented fish remains, in 1708, the Swiss naturalist Johann Jakob Scheuchzer described two ichthyosaur vertebrae assuming they belonged to a man drowned in the Universal Deluge. In 1766, a jaw with teeth was found at Weston near Bath. In 1783, this piece was exhibited by the Society for Promoting Natural History as those of a crocodilian, in 1779, ichthyosaur bones were illustrated in John Walcotts Descriptions and Figures of Petrifications. Towards the end of the century, British fossil collections quickly increased in size. Brian Edward Cox, OBE, FRS is an English physicist, and Professor of particle physics in the School of Physics and Astronomy at the University of Manchester. He is best known to the public as the presenter of science programmes and for popular science books, such as Why Does E=mc². and The Quantum Universe. He has been the author or co-author of over 950 scientific publications, Cox has been described as the natural successor for BBCs scientific programming by both David Attenborough and the late Patrick Moore. Before his academic career, Cox was a player for the bands D, Ream. Cox was born in the Royal Oldham Hospital, living in Chadderton and his parents worked for Yorkshire Bank, his mother as a cashier and his father as a middle-manager in the same branch. He recalls a childhood in Oldham that included pursuits such as dance, plane spotting. He attended the independent Hulme Grammar School in Oldham from 1979 to 1986. He has stated in interviews and in an episode of Wonders of the Universe that when he was 12. He revealed on The Jonathan Ross Show that he performed poorly on his Maths A-level, I was really not very good. I found out you need to practise, in the 1980s, Cox was a keyboard player with the rock band Dare. Cox studied physics at the University of Manchester during his music career and he earned a first-class Bachelor of Science degree and a Master of Philosophy degree in physics. After D, Ream disbanded in 1997, he completed his Doctor of Philosophy in high-energy particle physics at the University of Manchester, Cox has co-authored several books on physics including Why does E=mc2. and The Quantum Universe, both with Jeff Forshaw. He has supervised or co-supervised several PhD students to completion, Cox has appeared in many science programmes for BBC radio and television, including In Einsteins Shadow, the BBC Horizon series, and as a voice-over for the BBCs Bitesize revision programmes. He presented the five-part BBC Two television series Wonders of the Solar System in early 2010 and a follow up series, Wonders of the Universe. The A34 is a major road in England. It runs from the A33 and M3 at Winchester in Hampshire, to the A6 and it forms a large part of the major trunk route from Southampton, via Oxford, to Birmingham, The Potteries and Manchester. For most of its length, it part of the former Winchester-Preston Trunk Road. Improvements to the section of road forming the Newbury Bypass around Newbury were the scene of significant direct action protests in the 1990s. The road is in two sections and it continues south via Stone, Stafford and Walsall, passes through the middle of Birmingham, before meeting the M42 motorway at junction 4 south of Solihull. The road in effect combines with the network and resumes. The southern section begins 45 miles SSE, at the Bicester /ˈbɪstə/ junction and it continues south as the straightest part of the Oxford Ring Road, crossing the River Thames on the A34 Road Bridge. It bypasses Abingdon and Newbury before finishing at the southern Winchester turning of the M3 motorway and this part of the A34 forms the E05 European route. It is a dual carriageway throughout, together with parts of the M3 and the M40, the A34 forms an important route carrying freight from Southampton to the Midlands. Because of the volume of traffic, bypasses were built along this route – at Newbury on the A34, notably instead of cutting a short road tunnel through Twyford Down, the escarpment was carved out for the road traffic of the motorway and fledgling A34. In 2004 works were carried out, at a cost of £38 million, continuing the road without being interrupted by a roundabout at junction 13 of the M4 motorway, plans are in discussion regarding possible re-opening of this closed access point. Route of A34 overlaid on OpenStreetMap The original route of the A34 was Winchester to Oxford and it was extended to Manchester on 1 April 1935, replacing part of the A42, A455, part of the A449 and A526. By 1953 the route was as follows, When the Oxford Ring Road was completed to the west of Oxford in 1962, in 1991, shortly after the completion of the M40 motorway, the road between Oxford and Solihull was renumbered. El Lahun is a village in Faiyum, Egypt. Associated with the pyramid of Senusret II, it is located near the modern village, nearby is the pyramid itself, known as the Pyramid of Lahun. The ancient name of the site was rꜣ-ḥn. t, Mouth of the Canal) and this approach was probably intended to ensure the stability of the brick structure. Unusually, despite a Pyramid Temple on the east side, the entrance to the pyramid is on the south, the archaeologist Flinders Petrie nevertheless spent considerable time searching for it on the east side. He discovered the entrance only when workmen clearing the nearby tombs of the nobles discovered a tunnel at the bottom of a 40-foot shaft. Evidently the original workmen on the tomb had used their legitimate activity as a cover for digging this tunnel, once he was in the burial chamber, Petrie was able to work backwards to the entrance. The pyramid stands on an artificial terrace cut from sloping ground, on the north side eight rectangular blocks of stone were left to serve as mastabas, probably for the burial of personages associated with the royal court. In front of each mastaba is a shaft leading down to the burial chamber underneath. Also on the side is the Queens Pyramid or subsidiary pyramid. The most remarkable discovery was that of the village of the workers who constructed the pyramid and served the funerary cult of the king. The village, conventionally known as Kahun, is about 800 meters from the pyramid, when found, many of the buildings were extant up to roof height, and Petrie confirmed that the true arch was known and used by the workmen in the village. 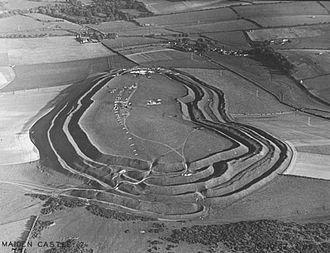 However, all the buildings found were demolished in the process of excavation, when the first strip had been cleared and drawn, the next strip was excavated and the spoil dumped in the previous strip. As a result, there is little to be seen on the site today. The village was excavated by Petrie in 1888-90 and again in 1914, the excavation was remarkable for the number and quality of objects of everyday life that were found in the houses. Among the curiosities found there were wooden boxes buried beneath the floors of many of the houses, when opened they were found to contain the skeletons of infants, sometimes two or three in a box, and aged only a few months at death. Thomas Henry Huxley PC PRS FLS was an English biologist, known as Darwins Bulldog for his advocacy of Charles Darwins theory of evolution. Huxleys famous debate in 1860 with Samuel Wilberforce was a key moment in the acceptance of evolution. Huxley had been planning to leave Oxford on the day, after an encounter with Robert Chambers. Wilberforce was coached by Richard Owen, against whom Huxley debated about whether humans were closely related to apes. Huxley was slow to accept some of Darwins ideas, such as gradualism, and was undecided about natural selection, instrumental in developing scientific education in Britain, he fought against the more extreme versions of religious tradition. Originally coining the term in 1869, Huxley elaborated on agnosticism in 1889 to frame the nature of claims in terms of what is knowable and what is not. Huxley states Agnosticism, in fact, is not a creed, but a method, the fundamental axiom of modern science. 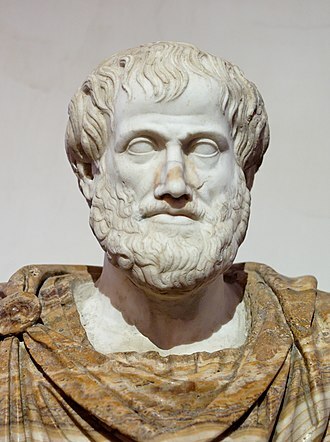 In matters of the intellect, follow your reason as far as it will take you, in matters of the intellect, do not pretend that conclusions are certain which are not demonstrated or demonstrable. Use of that term has continued to the present day, Huxley had little formal schooling and was virtually self-taught. He became perhaps the finest comparative anatomist of the latter 19th century and he worked on invertebrates, clarifying relationships between groups previously little understood. 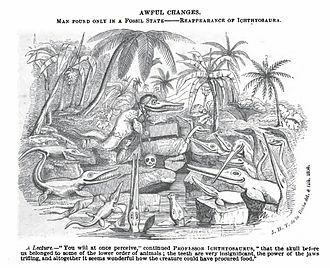 Later, he worked on vertebrates, especially on the relationship between apes and humans, after comparing Archaeopteryx with Compsognathus, he concluded that birds evolved from small carnivorous dinosaurs, a theory widely accepted today. Thomas Henry Huxley was born in Ealing, which was a village in Middlesex and he was the second youngest of eight children of George Huxley and Rachel Withers. 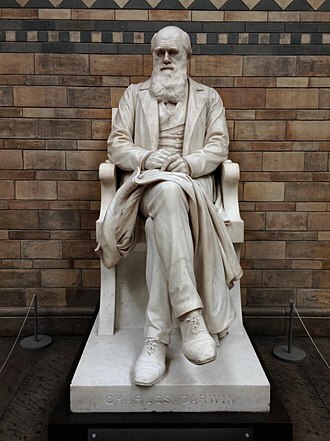 Like some other British scientists of the century such as Alfred Russel Wallace. His father was a teacher at Ealing School until it closed. As a result, Thomas left school at age 10, after two years of formal schooling. Despite this unenviable start, Huxley was determined to educate himself and he became one of the great autodidacts of the nineteenth century. Qift is a small town in the Qena Governorate of Egypt about 43 km north of Luxor, on the east bank of the Nile. 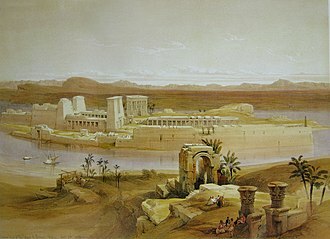 In ancient Egypt, known as Gebtu, was an important center for administration, from Qift and Qus, trading expeditions heading for the Red Sea and many mining expeditions into the Eastern Desert left the Nile Valley. 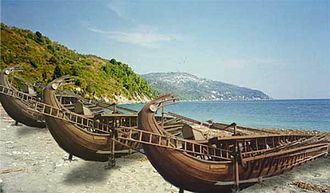 Gebtu was at the starting-point of the two great routes leading to the coast of the Red Sea, the one toward the port Tââou. Gebtu was the most important religious center in the area and its principal male deity was Min, a sky-god whose symbol was a thunderbolt. He became a fertility deity, and was regarded as the male deity of the desert region to the east. 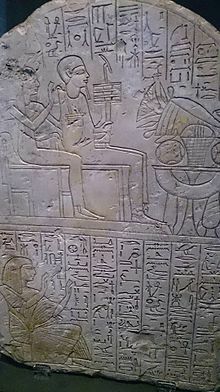 His cult rose to prominence in the Middle Kingdom, at that time, he became associated with Horus as the deity, Min-Horus. Later, he was fused with Amen in the deity Min-Amen-ka-Mut-ef, once politically important, especially under the eleventh dynasty, was overshadowed by Thebes. It recuperated its prominence under the Antonines, it was the camp of Legio III Cyrenaica. Oxford Street (foreground) and Oxford Road (in the distance) in 2014, from Manchester Central Library. Refuge Assurance Building (Palace Hotel). Whitworth Hall, ceremonial hall of the University of Manchester. Reconstruction of cave hyena, Heinrichshöhle, Germany. The top of the Lindow Man's head. The V-shaped cut can be seen at the lower centre. Motorcycle stack display at the Barber Vintage Motorsports Museum.